Bryan Singer is active this week, revealing plenty about X-Men: Days of Future Past, the sequel that takes place 11 years after First Class. He teased an all-CG character and the significance of Richard Nixon in the story. Now singer has tweeted an exciting piece of casting: Peter Dinklage will join the ensemble alongside Michael Fassbender, James McAvoy, Nicholas Hoult, Jennifer Lawrence, Ian McKellan, Patrick Stewart, Hugh Jackman and more from the X-Men repertory. I don’t know the X-Men comics well, but the responses to Singer’s tweet tell me that Dinklage will likely play Puck. Hit the jump for more on the character. Born in the early 1900’s, Eugene Milton Judd, or just “Judd” to his friends, was a soldier of fortune who traveled the world, having adventures. On one of these early adventures, he attempted to attain the ‘Black Blade of Raazer”, a mystical blade which, unbeknownst to Judd, contained the spirit of an evil being named Raazer. Upon accidentally releasing Raazer, Judd found the only way to defeat him was to absorb the spirit of Raazer into his body. This had the effect of changing the seven-foot Judd into a 3’6″ dwarf, although he retained the full strength and agility of the formerly giant bullfighter and athlete; the demon’s presence also stopped him from aging. Containing the evil being also caused Judd great pain on a constant basis. Judd had a long life of adventuring, as both a soldier of fortune and a spy and has dealt with many costumed operatives during World War II and since. He became close friends with Wolverine during the war, and the two have remained close to this day. I apologize if this is insensitive but I would very much like to see the seven-foot version of Dinklage. 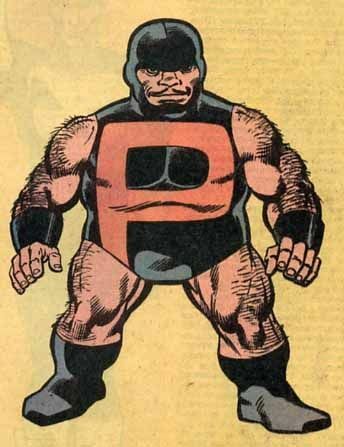 Puck is a key member of Alpha Flight, which according to Wikipedia is “noted for being ‘Canada’s answer to the Avengers.’ ” Beyond the height profiling, Puck is a likely casting option because Fox would surely love to get their foot in the door for any franchisable version of the Avengers. X-Men: Days of Future Past opens July 18, 2014.